Almost a year in the making, and our Foreign Policy Special Investigation into Europe's response to the migration crisis in out! At nearly 21,000 words -- reported from Mali, Niger, Libya, Senegal, and Germany -- this is the kind of deep dive into an issue that is such a privilege to be a part of. To quote to the brilliant Ty McCormic, who conceptualized this ambitious project: "We look at what's working, what isn't, and what will force a reckoning between Europe's political stability and its values of openness, tolerance, and respect for basic rights." Thrilled to have been able to contribute my images to Ty McCormick, Peter Tint, and Jill Filipovic's insightful reporting. A big thanks to Rebecca Franke, Adam Griffith, Ben Pauker and the rest of the FP team who brought it all to life. 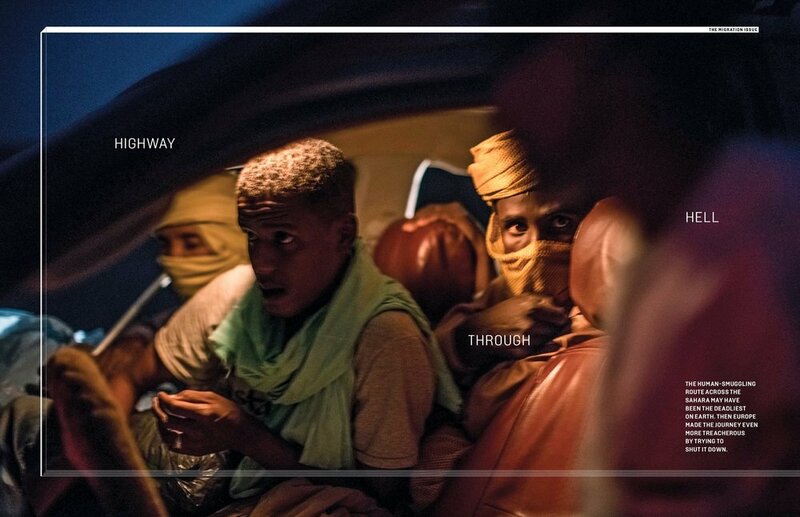 Parts 1 and 2, on the futility of using development to fight migration and the unintended consequences of shutting down one of the most dangerous human-smuggling routes on earth, are online today. Parts 3 and 4, on Libya's detention industrial complex and on the bleak future that awaits migrants who fail to reach Europe, will go up tomorrow. Part 5, on the moral quandary facing European policy makers from Brussels to Berlin, will be online Friday.